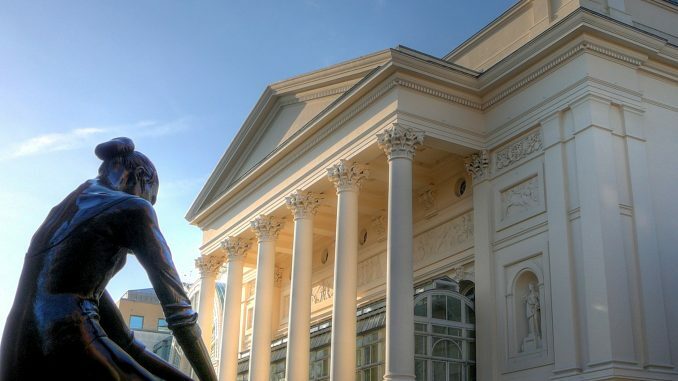 By now, most opera houses around Europe and the US have announced their upcoming seasons. Among all the press releases and season brochures, especially the Royal Opera House’s upcoming season stands out as particularly spectacular. A preview of what not to miss next season. We are, of course, very frustrated that Anna has felt it necessary to cancel a major role debut with us for the second time. We have done everything we can to avoid this situation. Whilst we regret that her withdrawal has come at such a late stage, we do respect her decision and understand how difficult this is for her as well. We are sorry for the disappointment this may cause some of our audience. The Royal Opera opens its season with an eagerly anticipated role debut as Anna Netrebko takes on the role of Norma, Bellini’s conflicted and scorned high-priestess. 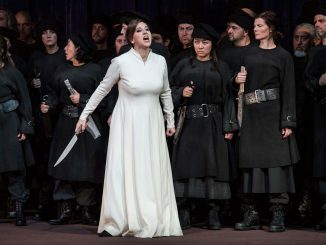 In an interview with the New York Times in October 2014, Netrebko already stated that this is one of the roles that she, like all sopranos, dreams of singing. She also stated that she was already working toward the role with her vocal coach Daniel Sarge and had cleared two months in her schedule to dedicate completely to Norma. Coming September, London will be the very first to witness Netrebko in this challenging role. Opposite Netrebko, Maltese tenor Joseph Calleja makes his role debut as Pollione. Generally, dramatic tenor voices tend to be cast in this role, so it will be refreshing and exciting to hear a powerful lyric voice such as Calleja’s in the role. Superstars Netrebko and Calleja are joined by the experienced Sonia Ganassi as Adalgisa. Antonio Pappano will conduct, so musically this Norma is bound to be one of the absolute highlights of the season. Under the direction of Alex Ollé, the opera will be placed in a world, reminiscent of contemporary times, that is torn apart by civil war. The productions of Ollé and his creative team I’ve seen so far have been either hit (Gounod’s Faust in Amsterdam) or miss (Un Ballo in Maschera in Brussels and Il Trovatore in Amsterdam). In the latter two productions, the concept and set designs stood in the way of a convincing personenregie. Hopefully, there will be enough focus on the direction of the singers themselves in Ollé’s production of Norma. Another much-anticipated role debut will take place near the end of the season as Jonas Kaufmann takes on the role of Verdi’s Otello for the first time. Not unlike Anna Netrebko, Kaufmann has been working toward singing this demanding role for some years now. Kaufmann shares the role with Gregory Kunde, who has received a fair amount of praise for his portrayal of Verdi’s Moor. In a new production, directed by Keith Warner, Desdemona will be sung by rising star Maria Agresta, who alternates with Dorothea Röschmann. The role of Iago will be shared by two baritones who are currently both at the top of their game, French baritone Ludovic Tezier and Serbian baritone Željko Lučic. With Antonio Pappano conducting, this Otello promises to be another unmissable performance. Apart from Norma and Otello, the rest of the ROH 2016-2017 season looks great as well. Kasper Holten’s final production as Director of Opera will be Wagner’s Die Meistersinger von Nürnberg. Antonio Pappano will conduct. Bryn Terfel will sing Hans Sachs, a role he has not yet sung at the Royal Opera. Die Meistersinger is something of an odd opera in the Wagnerian corpus. It lasts for hours and the supposedly funny scenes generally fail to appeal to modern sensibilities. Kasper Holten, then, certainly isn’t saying farewell to London with an opera that is easy to stage. The revival of the Leiser-Caurier Madama Butterfly, conducted by Antonio Pappano, also promises to be very worthwhile. Few conductors can bring a Puccini score to life as Pappano does. Furthermore, Ermonela Jaho and Ana María Martínez, who share the role of Cio-CIo-San, are both able to portray the opera’s tragic heroine in a convincing and moving way. Also something to look forward to is a new production of Der Rosenkavalier by Robert Carsen. Andris Nelsons will be conducting, which puts Strauss’ orchestral score in extremely good hands. The role of the Marschallin will be shared by Renée Fleming, who has made it her signature role, and Rachel Willis-Sørensen. This is probably your last chance to see Fleming in her signature part. Remarkably, the Royal Opera revives George Benjamin’s recent opera Written on Skin after an extremely successful first run. Also returning for this revival is the extremely talented singer-actress Barbara Hannigan. It will be interesting to see how the revival will do in the box office so relatively short after its first run. Will Written on Skin prove to be a one-off hit, or an enduring success? Also worthwhile should be Vittorio Grigolo’s house debut as Hoffmann in Les Contes d’Hoffmann in a production by John Schlesinger and conducted by Evelino Pidò. With his warm voice and boundless energy, his Hoffmann is certainly something to be curious about. Grigolo is joined on stage by Thomas Hampson as the four villains and Sofia Fomina, Christine Rice and, last but far from least, the wonderful Sonya Yoncheva as Hoffmann’s three great loves. Nicklausse will be sung by the impressive warm-voiced singing actress Kate Lindsey. This is not the full ROH 2016-2017 season: much more details can be found here. You can find a cinema near you here.